Kerry Washington covers Essence Magazine's November 2013 issue. For the cover shoot she was styled by June Ambrose, wearing a Rafael Cennamo Couture dress. 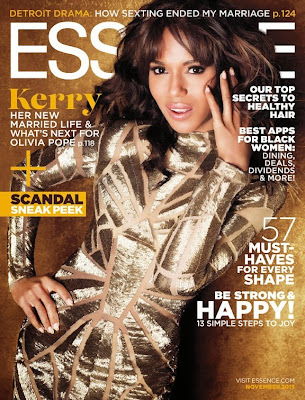 In this issue she talks about Scandal and separating her private and professional life.